Helicobacter pylori is a bacterial infection associated with chronic stomach inflammation which can significantly increase the risk of ulcer formation. 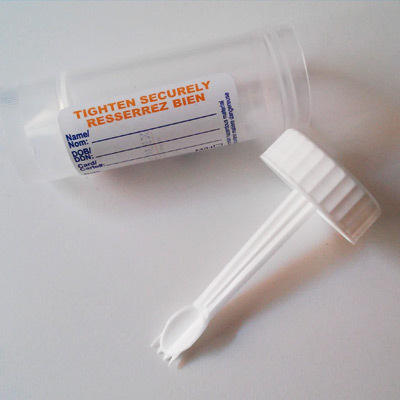 This stool test is a non-invasive way to detect the bacteria. It's convenience and accuracy make it the preferred method of detection. Testing package is included. The H. pylori Test results will be available 2-3 weeks after receipt of specimen. H. pylori facts The CDC's fact sheet on H. pylori infections. H. pylori's resistance Describes H. pylori's resistance to typical antibiotic treatments.